Recently some of the Gardner family descendants found some rare photographs of their ancestors and shared them with me. 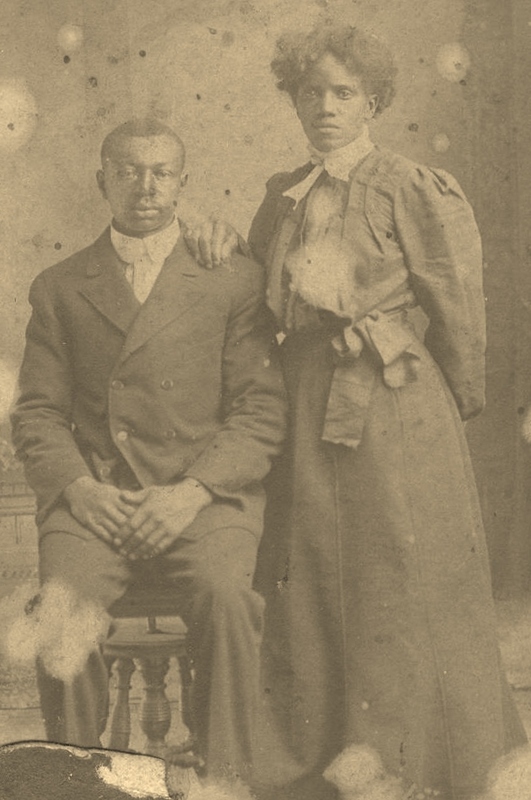 The 1870s photo featured here is of Daniel Gardner and his wife Melissa Boisseau Gardner. Daniel along with his parents, Aaron and Betty and two brothers George and Jackson were brought to Wessyngton Plantation in 1839 by George A. Washington. Daniel and Melissa married in Robertson County, Tennessee in 1866. On their marriage certificate Daniel is listed with the Washington surname, on most documents thereafter he is listed as Daniel Gardner. Daniel and Melissa are the ancestors of one of the largest families in Robertson County, Tennessee. Each year their descendants hold a family reunion, which started in 1935. 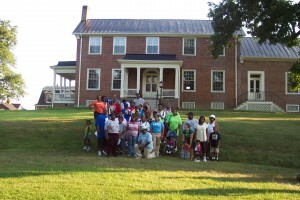 In 2008 the Gardners celebrated their 75th annual family reunion. As part of the reunion festivities I led them on a tour of Wessyngton Plantation. The tour included the Wessyngton mansion, Washington family cemetery, slave cemetery and a restored slave cabin. The Gardner earliest ancestors, Aaron Gardner, his wife Betty and their three sons, Daniel, George and Jackson came to Wessyngton in the late 1830s. There are more African Americans in Robertson County, Tennessee with the Gardner surname than any other family.